Harold Long was born in Rockwood, Tennessee, on September 3, 1930. He was one of thirteen children born of Bessie Marie Fance Long and John Riley Long. His family moved from Rockwood to Morgan County in 1934 where he attended elementary school in Petros, Tennessee. Mr. Long attended Central High School in Wartburg, Tennessee where he excelled as a football player. In 1949, Mr. Harold Long joined the United States Marine Corps, but was not called to duty until 1950. He was sent to Paris Island, South Carolina where completed his basic training, and then to Camp LeJeune, North Carolina, where he completed advance training. Shortly thereafter, the Korean conflict broke out and he was transferred to Camp Pendleton, California, to bring the 1st Marine Division up to strength. In the mid 1950’s, Mr. Mr. Harold G. Long was stationed on Okinawa. 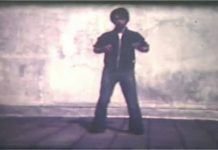 He had always had the desire to study martial arts and inquired of his house girl who the best karate instructor was on Okinawa. She did not hesitate in telling him that in Chun Village there was a teacher by the name of Tatsuo Shimabuku, who had the reputation of being the top karate instructor on Okinawa. After three visits to Master Shimabuku’s dojo, he was accepted as a student and began training. He studied for nineteen months, as much as eight hours a day, seven days a week, in some cases. When Mr. Harold Long returned to the United States, he was stationed at Twenty-nine Palms, California, where he opened his first dojo in his back yard. 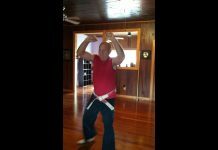 After his discharge from the Marine Corps, in July 1959, he returned to East Tennessee, and opened a dojo at the Marine Reserve Training Center. 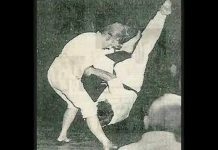 In 1963, he attended the “Systems Head meeting” of the first World Karate Tournament in Chicago, Illinois, to set-up rules for all American karate tournaments. In attendance were John Kehan, Phil Kepal, Harold Long, George Mattson, Anthony Mirikan, Roy Oshiro, Don Nagle, Ed Parker Sr., Wendall Reeves, Jun Rehe, Mas Tsuroka, and Robert Trias. 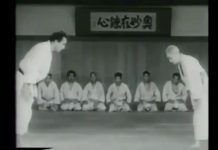 Rules for kata and kumite were adopted at this meeting to be used for all tournaments in the United States regardless of style. All of these rules, with one exception, were proposed by Mr. Long. He also served as Vice President of the United States Karate Association for several years. In 1974, Mr. Harold Long returned to Okinawa to visit with Grand Master Tatsuo Shimabuku. During this visit, he received permission to start a new Isshin-Ryu karate association in the United States. In December of 1995, Master Harold Long closed his dojo in Knoxville, Tennessee, and retired from active teaching. He moved into the US Navel Retirement Home in Gulfport, Mississippi, in 1996. 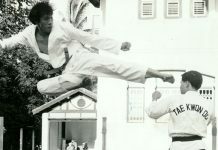 He remained active representing Isshin-Ryu Karate at tournaments, clinics, seminars and special events. In December of 1997, Mr. Harold G. Long represented Isshin-Ryu karate at the World Karate Union Hall of Fame’s annual event in Australia. While returning home to Gulfport, he was involved in an automobile accident. He underwent several surgeries to repair ruptured blood vessels in his brain. In August of 1998, while still recovering from the accident, he flew to Knoxville, Tennessee to visit his family. During this visit, he was diagnosed with terminal cancer. He remained in Knoxville until his passing on October 12, 1998. 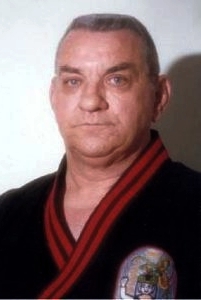 Master Long was laid to rest at Oak Grove Cemetery in Rockwood, Tennessee on October 15, 1998. Listed below are Mr. Harold G. Long’s major accomplishments and contributions to Isshin-Ryu Karate. 1975 – Founded the International Isshin-Ryu Karate Association (IIKA). 1981 – Founded the Isshin-Ryu Hall of Fame. 1987 – Inducted into the Isshin-Ryu Hall of Fame. 1988 – Co-authored “Okinawan Weapons” with Phil Little. 1991 – Founded the Isshin-Ryu Black Belt Society. 1992 – The Ultimate Self-Defense with Tim McGhee. 1993 – Inducted into the Knoxville Sports Hall of Fame, in Knoxville, Tennessee. 1994 – Co-produced the first national television coverage of the Isshin-Ryu Hall of Fame Karate Tournament with Tim McGhee. 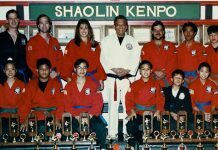 1995 – Issued membership into Tao of the Fist Martial Arts Fraternity. – Co-authored, Who’s Who in Isshin-Ryu, with Phyllis Manis and Tim McGhee. 1996 – Issued membership into the World Head of Family Sokeship Council for Isshin-Ryu Karate. 1997 – Awarded a “Doctorate Degree” by the College of Martial Arts. 1998 – Received the “Golden Life Achievement Award” and “Martial Arts Pioneer Award” from the World Head of Family Sokeship Council Hall of Fame. Inducted into the World Karate Union Hall of Fame. Co-authored, Isshin-Ryu Karate – The Ultimate Fighting Art, , with Tim McGhee. Inducted into the Universal Martial Arts Hall of Fame. Received “The Living Legend” award from the World Head Of Family Sokeship Council.